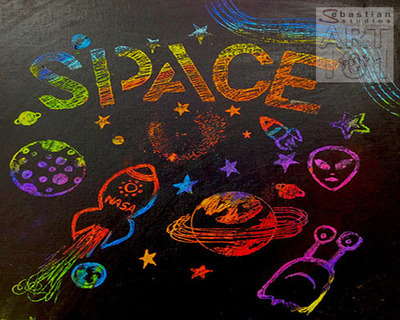 Kids of all ages just love this scratch art project. It's oh so easy, requires only inexpensive materials and is incredibly effective. 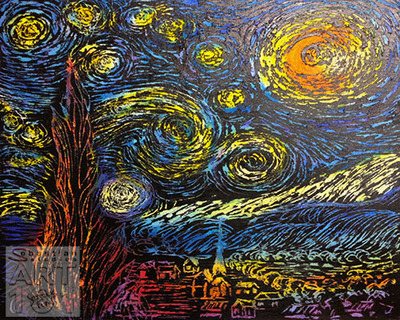 Best of all, what you create is limited only by your imagination! 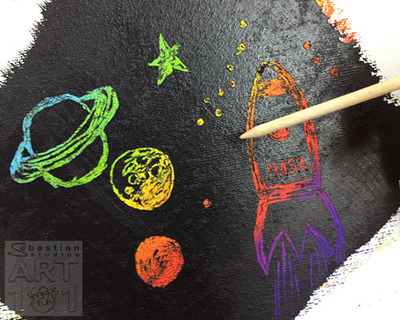 Using as many bright colours as you can, cover your canvas board with oil pastel. 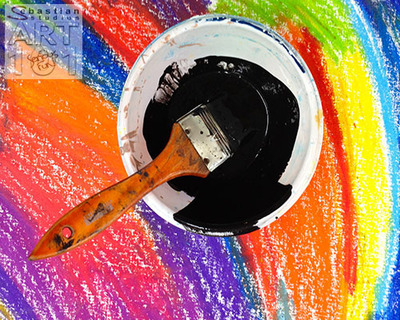 Mix 3 parts black poster paint to 1 part dish washing liquid. 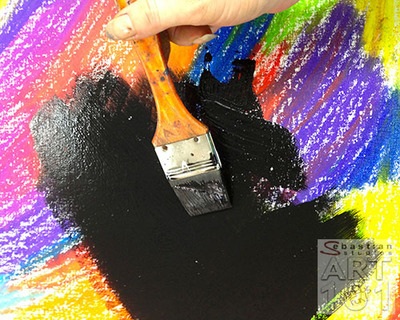 Coat your canvas board with a generous but smooth layer of poster paint mix. Allow to dry in the sun or use a hairdryer to speed up the process. 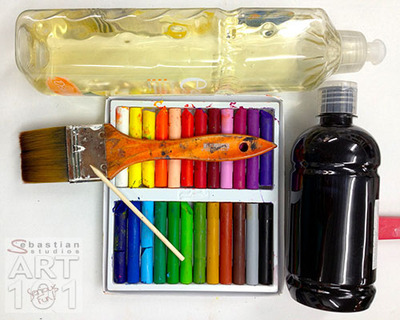 Once thoroughly dry use your stylus or scratch stick to lift the top layer of poster paint to reveal your rainbow colours of oil pastel. Doodle whatever you can think of - anything goes! Are you in Brisbane? 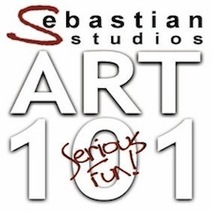 Why not join us for our school holiday workshops? 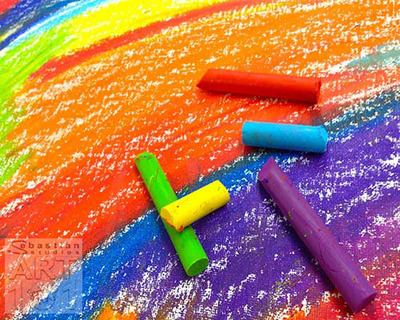 TIP: Avoid too high a heat setting if you use a hairdryer as the oil pastels will soften if too hot. Allow your boards to cool before you begin scratching.